With its approximately 1,400 participants, WomenPower is the leading congress on careers in industry. 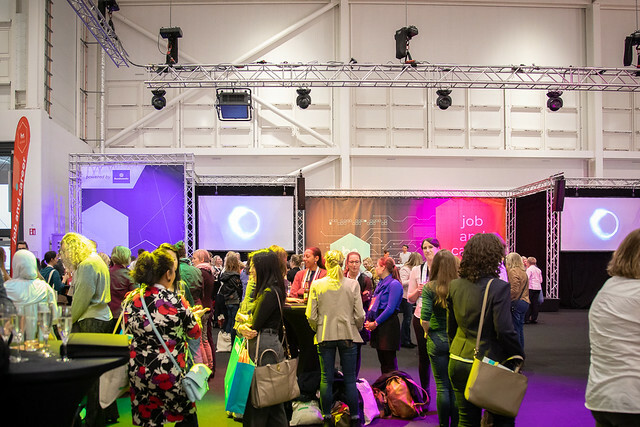 Join us in april 2020 and experience two days full of inspiration, practical workshops and success stories on the current developments in and the challenges of the present-day and the future world of work. Thanks to an optimized concept and loads of exciting workshops and sessions to promote your personal development, the career congress at the heart of the HANNOVER MESSE represents the perfect link between technology and industry. Be there and meet specialists and managers, ambitious young professionals, students and well-known personalities from the worlds of politics, science and industry. More than 40 workshops and talks for your success! 50+ employers, networks and consultants there for you. Join in and take part!